Capacity Rating: 55 watts at a 0°C temperature difference. 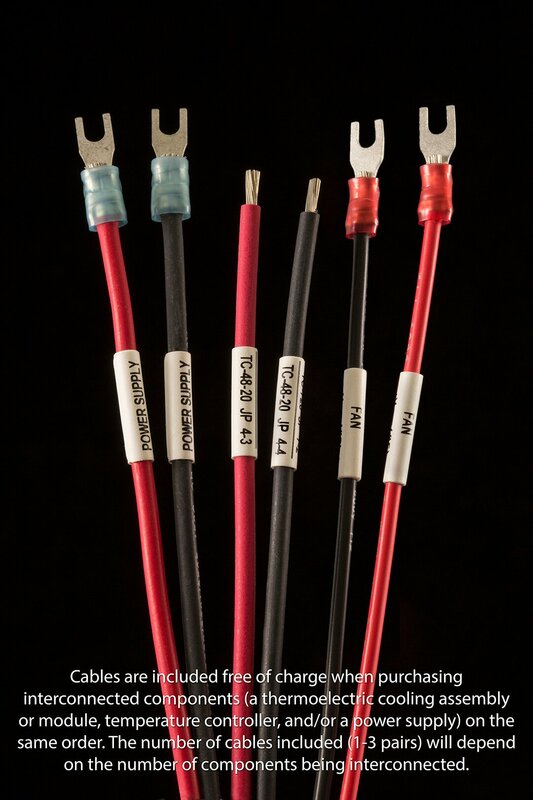 Example Applications: Ideal for small to medium-sized electronic enclosures or refrigeration applications when a large temperature difference is not required. 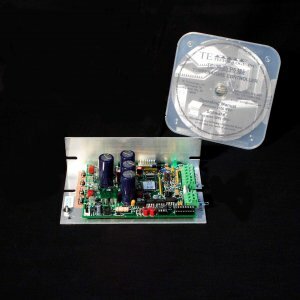 Features: Powered by 12 VDC, has a low power draw, and maintains an enclosure’s NEMA 4 rating. Low profile internal fan blows air into center of cabinet for directed cooling. 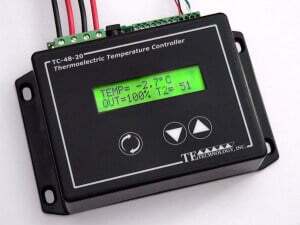 The low power consumption makes this cooler compatible with all of our temperature controllers. 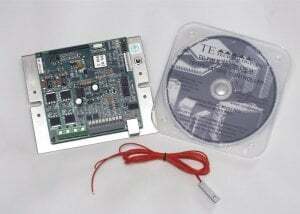 Can be used for heating and cooling. Can be customized for production-sized orders. • Ideal for small to medium-sized electronic enclosures or refrigeration applications when a large temperature difference is not required. • Weatherized protection: anodized external fins, environmentally-sealed external fan, and stainless steel finger guards. • Maintains enclosure’s NEMA 4 rating (IP-55 external fan). • Low-profile internal fan minimizes the space required inside the enclosure. 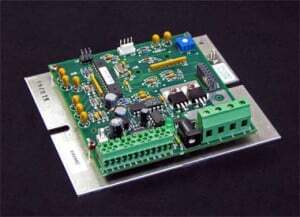 • Energy efficient / low input power. • Adaptable mounting – can be mounted in any orientation and fan end of internal fins can be placed against enclosure wall if needed. 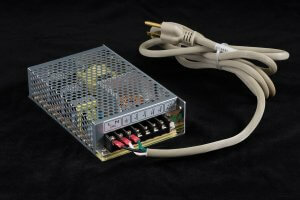 • Internal fan blows air to center of enclosure so you can aim cooled air at the components that need the most cooling. • High quality dual ball bearing fans for long life. 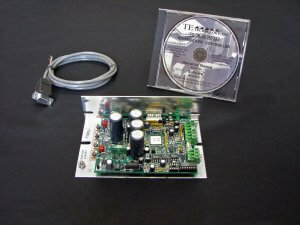 • Can easily be customized for production-sized orders to meet your exact requirements. • CE marked, RoHS compliant. The AC-055 thermoelectric (Peltier) air cooler is specially designed for cooling electronics enclosures when a large temperature difference from ambient is not required. While not specifically designed for refrigeration it can be used in these applications as long as a large temperature difference below ambient is not required. 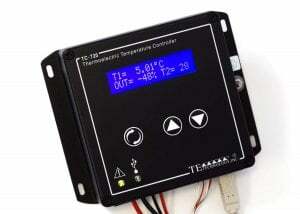 It can, as with all of our coolers, both heat and cool when used with the proper temperature controller. 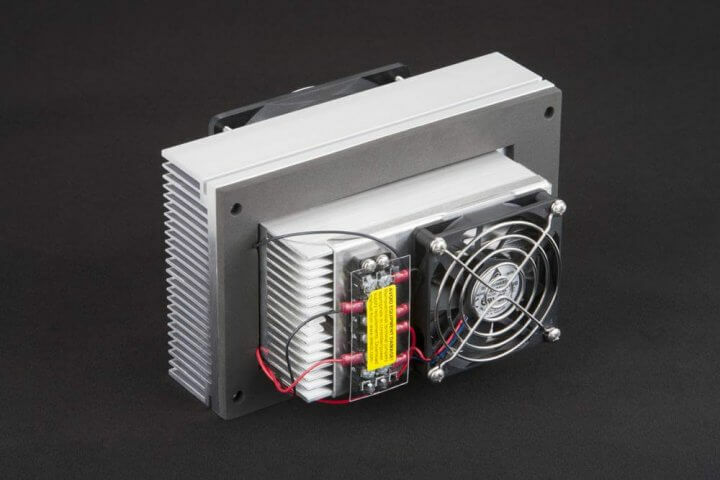 The AC-055 is environmentally protected: the hot-side fan is sealed against moisture and dust (IP55), the external heat sink is anodized to prevent corrosion, and the finger guards are stainless steel. The unit is rated to maintain an enclosure’s NEMA 4 rating. 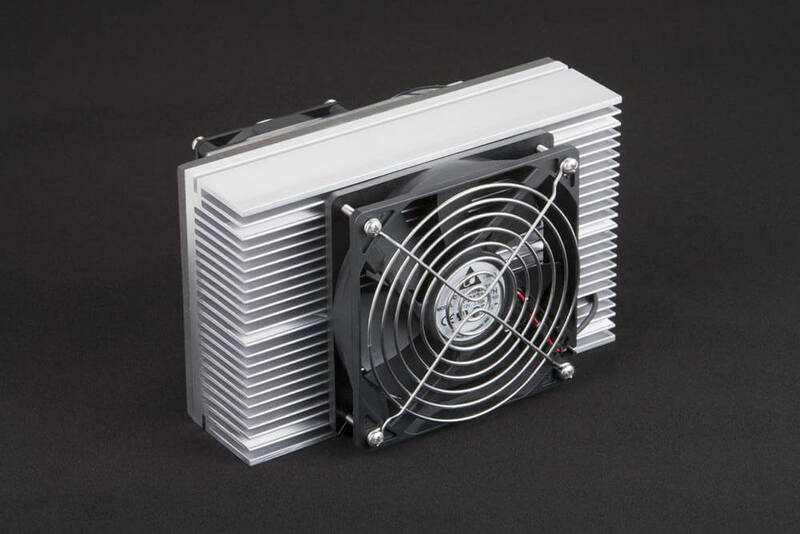 A low-profile internal fan minimizes the amount of internal volume required by the cooler. Internal air is pulled primarily through one end of the fins and blown out the fan towards the center of the enclosure. This configuration allows one end of the internal fins to be placed close to the wall of the enclosure without hindering performance, and the equipment that needs the most cooling can be located in the cooled air stream. 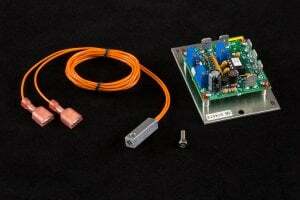 The AC-055’s low power consumption yields low operating costs. As an added benefit the power supply will generate less waste heat, meaning the power supply has less of an impact when located inside the enclosure.